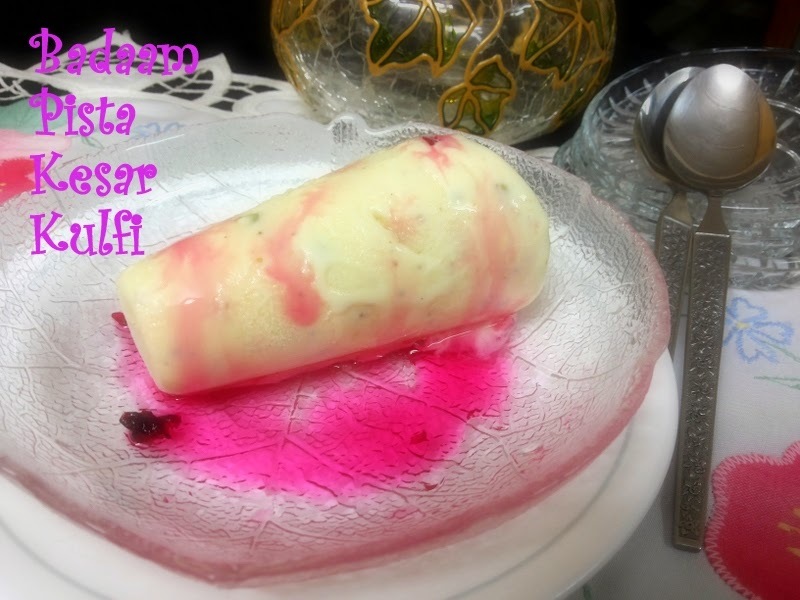 I have yet another kulfi recipe for you guys which is quick to make and at the same time very very delicious. This tastes just like Delhi kulfis which are such a hit. It has a very nice aroma of Kevda, which is a flavor to die for.This is a completely different recipe from the previous Badaam and Pista kulfis. I have to thank my cousin Sapna in Mumbai for this delicious recipe and this comes as my 3 rd days post under festival recipes for week 4 , BM 45. 1 can MIthai mate / condensed milk. Bring milk and condensed milk to boil. Mix corn flour and a few tbsps of water. Let boil for a few minutes. Add the nuts, cardamom powder and Kevda flavor. 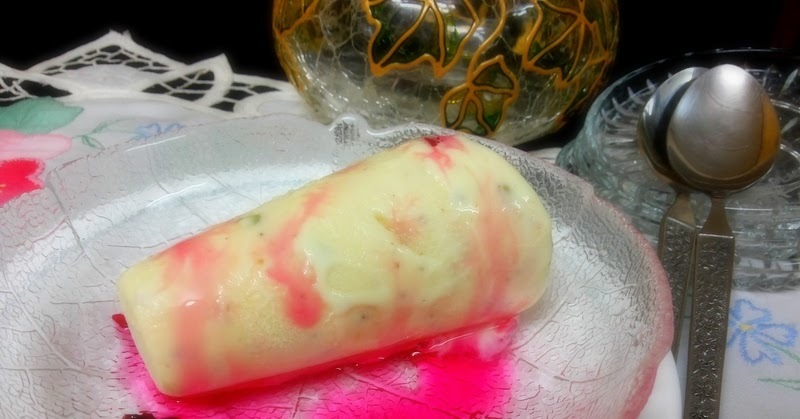 This kulfi is also popular as BPK.